We recognize that clients often have many questions about their pet’s health and that many of you will look to the internet to answer some of those questions. Like any other research method, it’s important to know where to look and what to steer clear of. The following is a list of internet research tips that will help guide you to the most up to date, reliable veterinary information. And as always, please feel free to ask us any questions you might be having, and we will do our best to answer them for you, and refer you to reputable sources for further information. 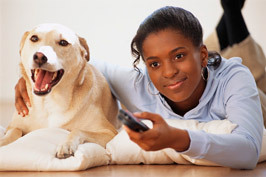 We appreciate your interest and participation in your pet’s health. When looking up a specific disease, enter the words “veterinary college” after the disease for a list of higher quality sites. When researching a breed specific illness, it’s good to check out the national breed specific website. Avoid the business sponsored sites that appear on the right side of the search page, particularly those offering products for sale. Recognize anecdotal information for what it is and avoid drawing conclusions from individual stories. Check out disease specific online forums. The best forums are those that limit themselves to a specific disease, have lots of members, utilize multiple moderators, and have been in existence for several years.